When preparing for the new year, it’s essential to get into the right attitude. The burst of productive energy is incredible at the turn of a new year, but without the right direction, that energy can fizzle out and leave you feeling ineffective. That’s why I love coming up with mantras to help me orient myself towards my goals. 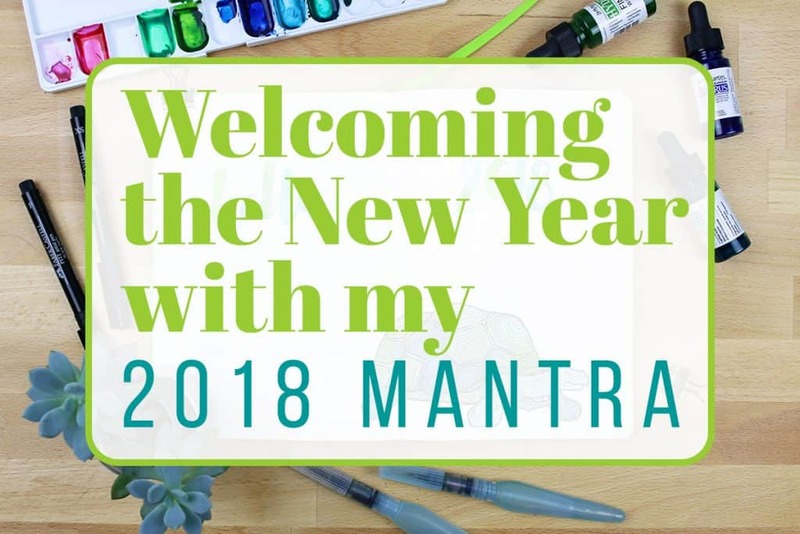 I’m particularly happy with my 2018 mantra and I can’t wait to use it to make progress in the new year! First, I want to talk about last year’s mantra a bit. I went into 2017 with the mantra “Done Not Perfect” to help me tackle my suffocating perfectionism. I used to struggle with my goals because I either never finished a project or never even started out of the fear that it wouldn’t be perfect. Thankfully, my 2017 mantra did the trick. When I found myself fretting about starting, working on, or finishing a project, I would say my mantra out loud and get into the work. Due to this mantra, 2017 was a year of immense progress. I finished old projects, set new goals, and stopped fearing my own failures so much. That led to a ton of learning experiences and growth that simply wouldn’t have happened if I had continued my perfectionist tendencies. So all of this is to say that I fully am on board with the whole mantra thing. 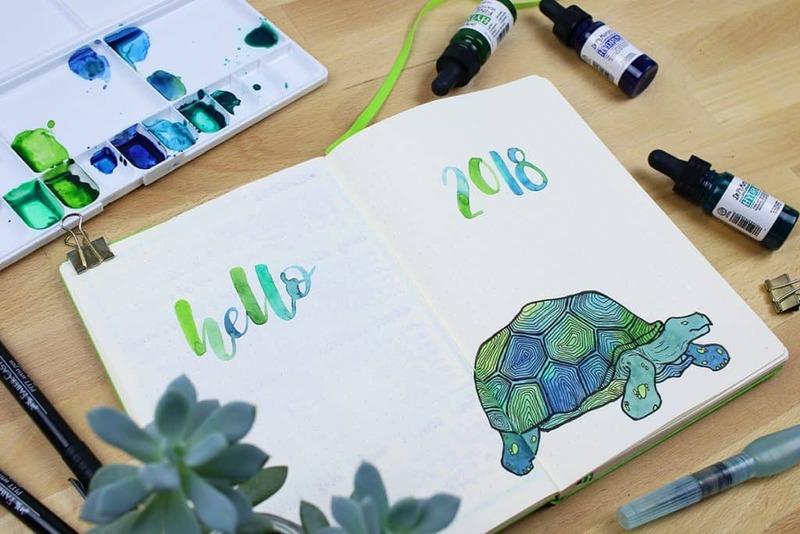 This year, I want to embrace the spirit of the tortoise with the mantra “Slow and Steady”. I have been struggling with terrible anxiety lately because I have extremely high expectations for myself and goals don’t happen overnight. There are so many things I want to work on – both personally and professionally. But everything takes time to work, and I forget that sometimes. It’s frustrating to have to deal with the molasses-like nature of progress when I want to be there now. “Slow and Steady” is a reminder for me to enjoy the journey and be more kind to myself. I am not Wonder Woman, and I need time to better myself and achieve my goals. I want my 2018 mantra to help me focus on my goals with steely determination and have patience with the process. Instead of lettering out my 2018 mantra, I decided to draw the animal that inspired me. 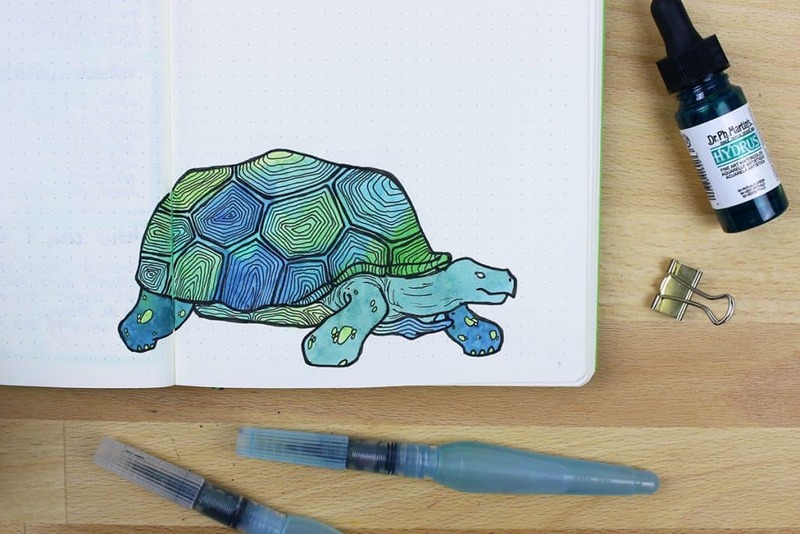 I particularly enjoyed drawing, lining, and coloring the tortoise because it gave me time to zone out and think about the mantra in a deeper way. There’s nothing like drawing repetitive lines to help you zero in on your mantra and imagine all the ways you will rock the new year. I drew the tortoise out in pencil, then lined him with a variety of Faber Castell Pitt Artist Pens. After I was satisfied with my linework, I painted him with Dr. Ph. Martin’s Hydrus Watercolors using a Pentel Aquash Water Brush Pen. 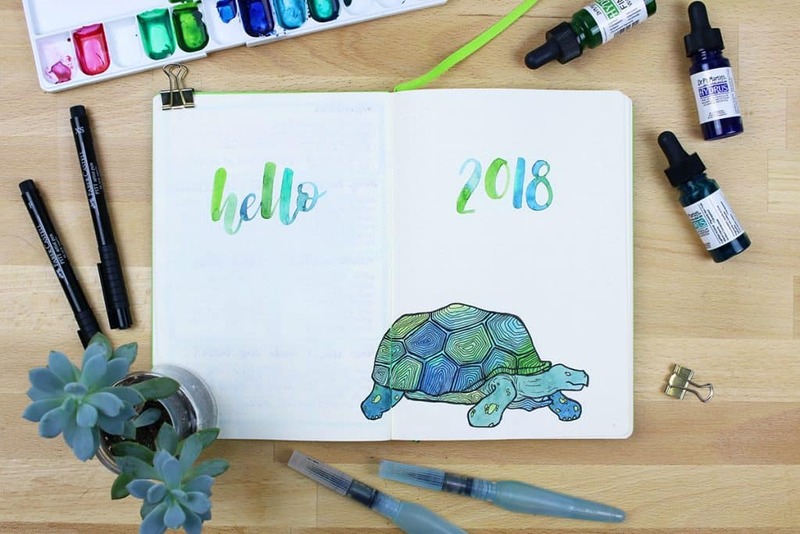 I decided to go with a blue and green theme (both for my 2018 mantra and for the whole 2018 bullet journal set up) because those colors symbolize growth, calm, and healing. That’s exactly what I need to bring into my life, and I loved adding those sentiments to everything as I worked. As 2018 begins and brings all the potential of a new year, I am excited to start working on my goals. I know that with my 2018 mantra, I can be patient and have the determination to land my goals for the new year. It’s a new chapter of my life, and with the right attitude, I know that it will be one of the best chapters yet. We are all in this together Elise ? I’m working on my first bullet journal, and I’m so excited about it. Thanks for being my inspiration. Thank you so much Veronica! Same to you. I have an animal “mascot” for this year as well! Mine is a simple, Scandinavian-style embroidered bird on the cover of my (not quite finished yet) traveler’s notebook that will hold my planner and journal. Thank you for encouraging creativity in our planning! You are very motivating and I wish you Happiness in 2018 ? Look forward to sharing this year with you. Thank you so much Donna! I look forward to having you here! ? Thanks so much Michelle! It warms my heart to hear you’ve enjoyed being a part of Little Coffee Fox ? I’m also one that expects immediate results when I begin a project or routine. Years ago I embraced the “turtle life”, but the got caught up in the “you can have it all right now, today” nonsense. Thank you for this reminder of what works best for me and if you don’t mind, I’m going to make this my mantra for 2018 as well. Thank you! Of course you can Debra! Here’s to a “slow and steady” year. I really liked your video and I am looking forward to utilizing several of the list that you created in my life and hopfully helping other who need to track specific traights, thoughts, etc. in their lives, I’m just really excited that I came accross your sight, I have seen several but I was really impressed with you and what little I have seen and heard so far, Thank you for al that you do and share with others. So glad to have you here Debi!